The Remotex system consists of an internal Condenserless Chiller comprising compressors and controls, and a matched external heat rejection condensing unit.Each internal Chiller is a central cooling plant, containing two refrigeration circuits with Multiscroll technology, Hydropack pumping units, with on-off or inverter technology, and many other factory fitted accessories including the free partial condensing heat recovery. Each outdoor unit contains the heat rejection exchangers, complete with fans, power connection and control panel. The combination of the sound-proofed internal Chiller with the various external Remote Condenser options (with high or medium air flow capacity) provides a solution for all requirements - even solving problems linked to tight restrictions on noise emissions. Remotex is available in Super-silenced acoustic configuration, which allows the sound level to be reduced by 5 dB(A). Remotex system allows great installation layout flexibility. 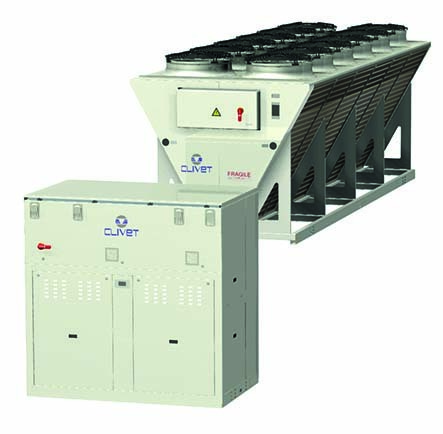 The Condenserless chiller unit can be internally or externally mounted and has a 2,5 m2 footprint. The external unit can only be mounted externally for the heat rejection. What is more, it is possible to mount the condenser above the Chiller by means of a special structure that the installer must provide. This way, the storage footprint will be minimal indeed.The layout of the central heating/cooling unit can be adapted to requirements. 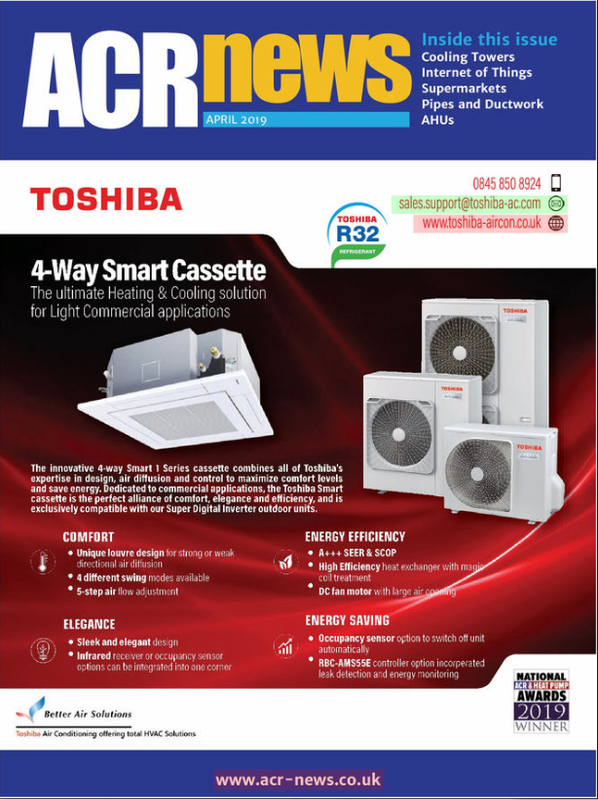 The heating and cooling capacity can be a combination of heat pumps or only cooling functions with Low noise external or compact units.This means highly scalable solutions in terms of operations, size and time. Such a central unit can be easily built up over the years. Remotex scalability allows maximum versatility also in case of implementation of plant rooms, or in change of use destination. All components are inside, fully protected from the external atmosphere, extending lifespan of the system, reliability and operation, as far as simplifying maintenance. Remotex makes easier the handling operations because the weight of the single lifting does not exceed 1,9 tons for the indoor units and 1,6 tons for the outdoor units, and is distributed in a uniform way.The advantage on the lifting costs compared to the traditional packaged solution can reach up the 50%.Not only, but the option of having a series of pre-installed accessories such as hydronic pumps, valves and filters makes it much easier to install and start.